Movie pioneer Oscar Micheaux produced the first African-American feature film in 1919. Entitled The Homesteader and based on Micheaux's novel of the same name, it told the star-crossed story of a black settler who falls in love with a white woman on the South Dakota frontier. 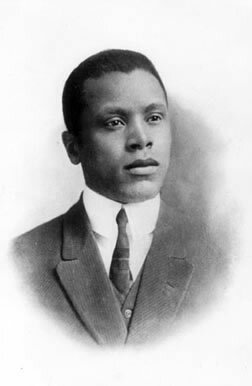 Over the next three decades, Micheaux wrote, produced, and directed more than 40 silent features and talkies. Winning the most acclaim were Body and Soul, Harlem after Midnight, and Within Our Gates. Micheaux's films blended entertainment with biting social commentary. Targeting black audiences, they contradicted the negative stereotypes of African Americans that filled mainstream motion pictures. Though Micheaux's movies were screened far and wide, some were censored for their provocative take on race relations. Determination was the quality that defined Micheaux the filmmaker. He produced most of his films on a shoestring budget, the production funds often coming from his own pocket. 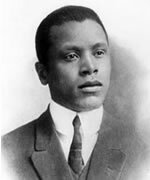 Although Micheaux was forced to declare bankruptcy in 1928, that was but a temporary distraction; he continued to find new sources of money to finance his films. Few experts would describe Micheaux's films as technically adept—but then, few directors have replicated his feat of shooting most movies in four to eight short weeks. To stay on time and under budget, Micheaux relied heavily on long, continuous shots that required actors such as Evelyn Preer and Paul Robeson to improvise. Paul Robeson made his film debut in Micheaux's Body and Soul (1925). Evelyn Preer starred in many of his films. Many of the Lafayette Theatre's acting group starred in his films. Micheaux's desire to collaborate with Zora Neale Hurston was never fulfilled.